A music lover from the start, Serhan Aydemir's musical journey first began by collecting cassette tapes in the late ’80s. By mid-90s, he became a radio host. Over the last 20 years, he channeled all his energy toward this passion, constantly exploring new music styles. Today as Memos, the Brooklyn-based DJ/producer continues to share weekly mixes with fans on Dinamo.fm by day and manning the decks at some of NYC’s most popular venues by night. Being a kid in the 80s in an Eastern European city, Serhan Aydemir had all the tools he needed to transform this field of interest of his into a versatile skill. As he started to become more involved in his city's electronic music scene, he stepped it up by having his own slot on Istanbul's premier electronic music radio station Dinamo.fm. His sound has continued to evolve after moving to New York in 2010. He shared the decks with Dave Harrington, Viken Arman, Be Svendsen, Thugfucker, The Scumfrog, Francesca Lombardo and many more... 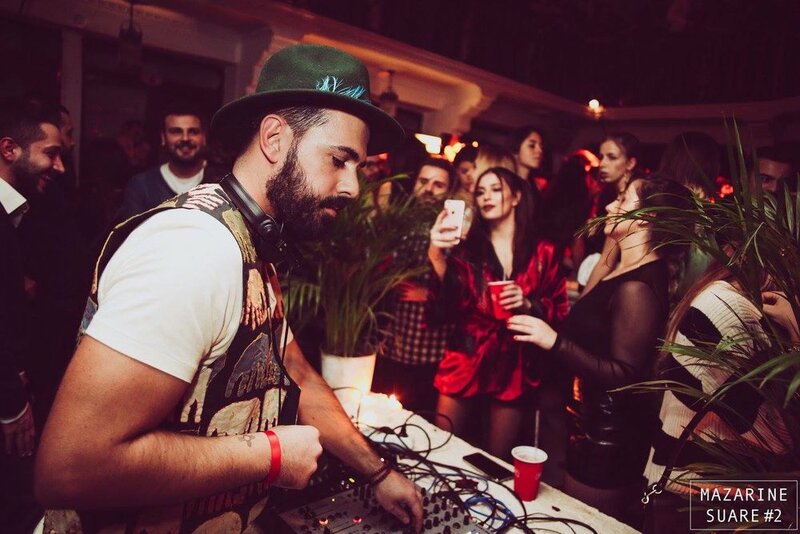 In 2016, he mixed some Turkish psychedelic tunes for Boiler Room and he continues to experience the magical atmosphere of Burning Man as a musician every year. His next EP will be released on Los Angeles based label Pipe & Pochet in 2019. Till then he'll continue creating good vibes by his mixing and make sure everyone has an alpha plus experience.